Victims of Manhattan car accidents can’t file a lawsuit against the at-fault party unless they can show that their injuries are serious. In a recent New York car accident case, a taxi cab passenger injured in a rear-end crash won the right to pursue a lawsuit against the drivers based on suffering a disfiguring facial injury in the crash. The case, titled Levison v. Guerrero, arose from a 2013 accident at the corner of 10th Avenue and West 41st Street in New York. The injured plaintiff, Samuel Levison, was riding in the rear of a taxi cab being driven by Sha Huang owned by Modern Cab Corp. The cab was rear-ended by a Ryder truck being driven by William Guerrero, driving the truck for his employer, Party Rental Ltd. Levison needed emergency care for cuts to his face caused by the shattering of the rear windshield as a result of the crash. He received between 40 and 50 stitches on his face and was forced to undergo treatments for the resulting facial scarring. Levison filed a lawsuit for his injuries against Huang, Modern Cab Corp., Guerrero, Ryder, and Party Rental, Ltd., and the defendants filed motions to dismiss the complaint. New York State’s no-fault insurance rules bar lawsuits for claims relating to car accidents, with exceptions when the victim’s injuries are considered “serious.” Last week we reviewed a case where the injury victim failed to meet the serious injury threshold by showing a permanent or significant limitation on the use of parts of his body, or being prevented from performing substantially all of his typical daily activities for at least 90 of the first 180 days after the accident. 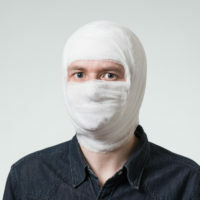 Another one of the excepted forms of injury is “significant disfigurement.” In Levison v. Guerrero, Levison asserted in his complaint that his facial scars qualify as significant disfigurement which overcome the no-fault injury threshold and permitted him to file a lawsuit based on his injuries. The defendants disagreed. Previous courts have ruled that a victim’s injuries will be considered “significant disfigurement” where “a reasonable person would view [the facial discoloration] as unattractive, objectionable, or the subject of pity or scorn.” This definition leaves a great deal of room for subjective opinion, but victims of disfigurement should submit evidence such as medical expert testimony and photographs to support their claims. According to Levison’s dermatologist, Levison had numerous facial scars and surrounding skin distortion which were “visible, unattractive, objectionable, permanent in nature,” and were caused by the injuries Levison suffered in the June 2013 accident. Levison was also examined by medical experts hired by the defendants, who described Levison as having facial scars which “may be improved with further reconstructive surgery.” In other words, the doctors believed that the facial deformities he’d suffered were not permanent. Photographs of Levison’s face showed scars that were, according to the court, “more than barely perceptible or hardly visible.” Based on this evidence, the court ruled that a reasonable person could consider Levison’s scars as seriously disfiguring, and denied the motion to dismiss his lawsuit. If you’ve suffered a serious injury in a New York car accident case, find out if you have a right to file a lawsuit based on your injuries by contacting the aggressive and effective Manhattan personal injury lawyer Leandros A. Vrionedes for a consultation, at 212-889-9362, or in Queens at 718-777-5895.